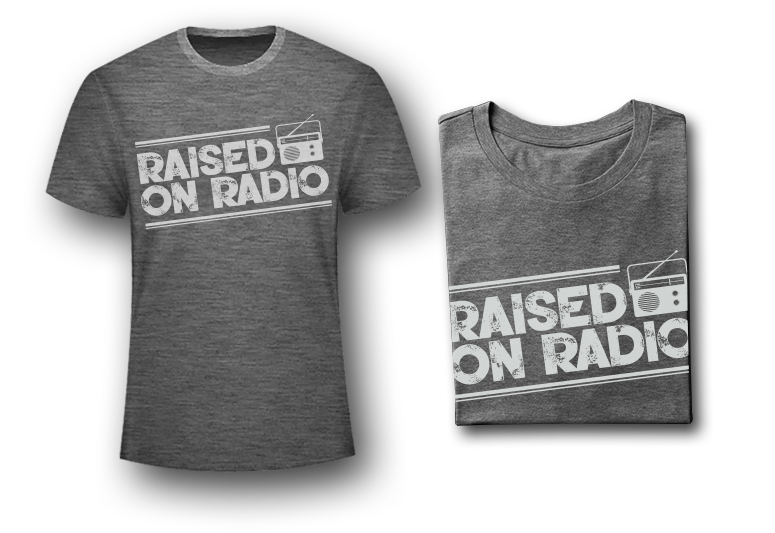 Welcome to the ONLY place you can purchase the exclusive Raised on Radio t-shirt! Quantities are limited and available for a short time only. First time here? Be sure to register first. You need an account to complete your purchase. All orders will be charged $5 for shipping and handling. Please note that t-shirt sizes tend to run a bit smaller. Important Note: For Canadian and other International orders, different shipping rates may apply. Please call (972)753-6761 to place your order.